Skylights are an increasing concern for rooftop safety. The vast majority of skylights are not man-rated and therefore would not support the required forces if a casualty was to fall onto and through a skylight. W.S. Safety offers rooftop safety solutions to protect against these horrible, costly incidents. Skylights present a particular hazard while working on roofs, because they are below worker sight lines and therefore easily missed. 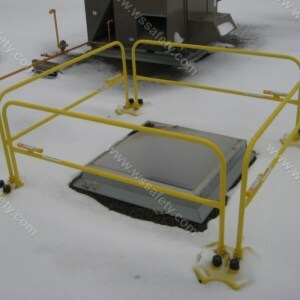 Skylight fall protection systems can be used for temporary fall protection barriers when rooftop work is being done. 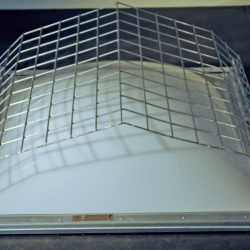 A BlueWater fall protection non penetrating solution, the Skylight Defender is engineered to prevent injuries and deaths from falls through skylights. It installs quickly, fastening onto the skylight frame using a unique compression system. Counterweighted, or 'non-penetrating', guardrail systems are a great solution for passive fall protection systems on rooftops.